You can keep your liberal CD’s full of CCM music and liberal preaching far away from fundamentalists. Yes, sir, fundy churches are still in the business of churning out cassette tapes in the ubiquitous “tape ministry” that graces the back table of many an Independent Baptist sanctuary. As the preacher breathed the last “amen” (pronounced “ay-men” or sometimes “hay-men” but never “ah-men”) the tape ministry crew spring into action, preserving the service on cassettes so that all may enjoy the sounds of of the speaker’s breathing and stomach rumbling. These tapes are often also sent to foreign missionaries as a ministry of encouragement, for nothing warms the cockles of a missionary’s heart like yet another sermon on sin and the many reason why the speaker is against it. This is assured to be more refreshing to a missionary than a raise in support and a month of vacation. Salt and light on magnetic tape. Isn’t technology amazing? 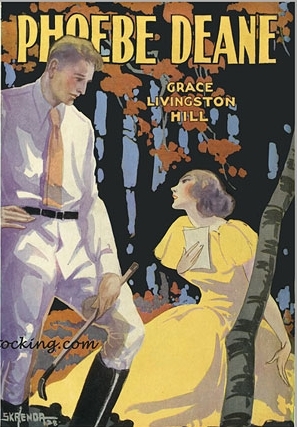 Grace Livingston Hill lived from 1865-1947 and in that time she managed to write hundreds of “Christian Romance” novels which continue to grace the shelves of fundamentalists households everywhere. The writing in these books is squeaky clean. The heroines never say a bad word, have a bad thought, or really do anything at all except be perfect nice and suffer indignities at the hands of unkind people. The heroine then inevitably apologizes for making the cruel person go to all the trouble of being unkind. At last he spoke, interrupting her brooding over his roses. “You are running away from me!” he charged. “Well, and what if I am?” She looked at him with a loving defiance in her eyes. “Don’t you know I love you?” he asked, sitting down beside her and talking low and almost fiercely. “Don’t you know I’ve been torn away from you, or you from me, twice before now, and that I cannot stand it any more? Say, don’t you know it? Answer, please,” The demand was kind, but peremptory. “I was afraid so,” she murmured with drooping eyes, and cheeks from which all color had fled. “But you are going to be married this week,” she said in desperation, raising her miserable eyes to his. But Elizabeth hid her eyes now. They were full of tears. Countless hearts of fundamentalist girls (and more than a few boys) thrill to lines such as these as they dream of someday meeting their own Prince Charming who they will mistakenly think is marrying someone else until the last ten pages of the story. Chaste and awkward love makes the fundy world go ’round. There is an advantage to having so man fundies remain loyal to the Juno brand, however. Now, whenever someone gets an e-mail with the subject line 10 Steps to Revival in your Church Now! or Democrats want to force all children to be gay! from baptistpastorjeremiahhalstead1611AV@juno.com* it’s easy to figure out what kind of person its coming from. Although Baptist fundamentalists wouldn’t ever dream of touching regular playing cards, they do still love card games; and one of the perennial favorites is Dutch Blitz. After all, anybody can see the game is wholesome just by looking at it. 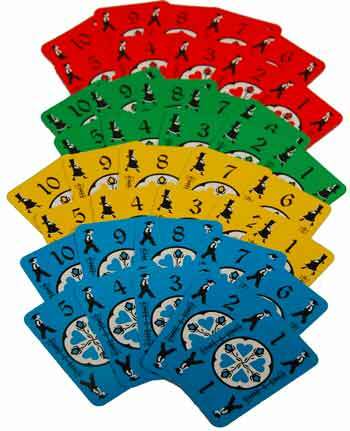 There are primary colors and pictures of modestly dressed Amish children.Â Instead of evil hearts and clubs,Â benign-looking farm implements grace the backs of the cards.